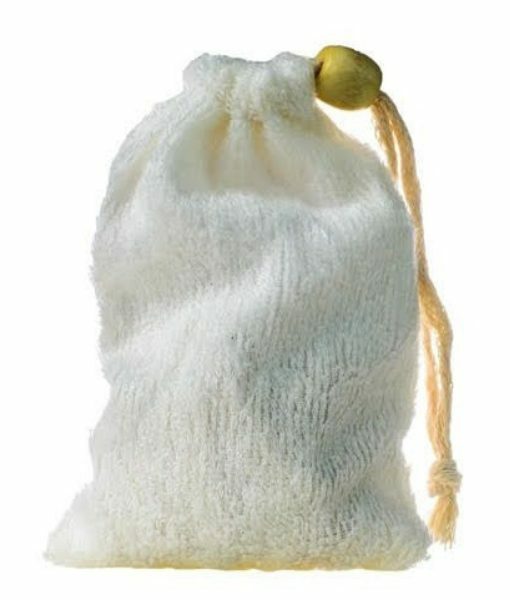 Our Organic Soap Saver Bamboo Bags are perfect to use as gentle exfoliating mitt and/or as a soap-saving sack. Made from organic bamboo yarn, these handy sacks can be used to store your soap bar for travel and prevents the bar from getting gooey at home. Simply lather through the bag and hang the sack with the soap in it to dry.